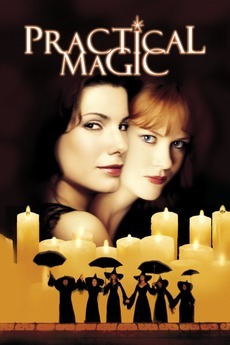 Audrey wanted to see Practical Magic because some interior designers she likes did the production design. The production design is cool, but everything else about this movie is either weird or bad. The pacing is so off putting, jumping from shot to shot and scene to scene in fits and starts, leaving huge gaps in time and space. And the scenes don't build off one another and the characters do not develop at all. Terrible movie.